TIP - you’ll need an audio interface as part of this setup. 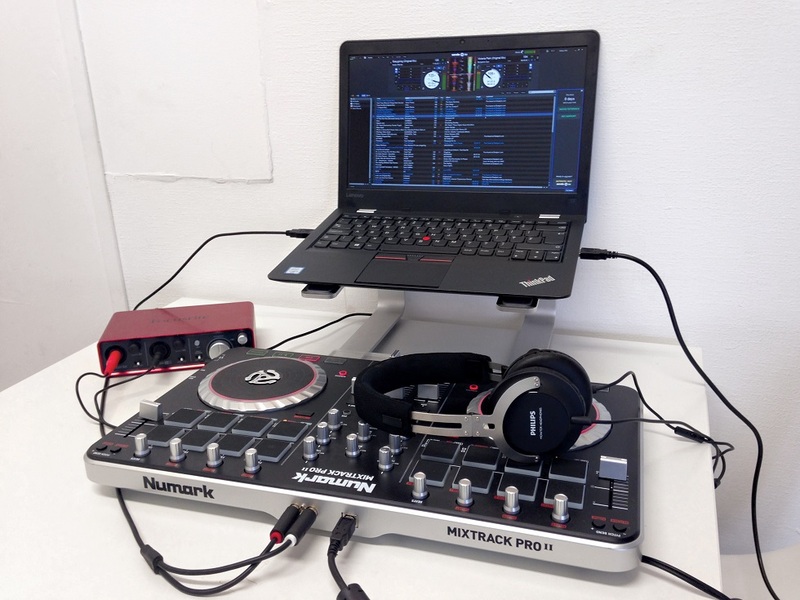 This article explains how to stream your DJ set live using Serato DJ software with an external DJ controller and an audio interface. You'll be using Serato to mix tracks from your computer and the DJ controller to control your levels and crossfader. You will also need an audio interface device to input the audio back into your computer. Audio outputs are usually located at the back of the DJ controller. If the device only has one output you will need to follow Setup 1 at the top of this article. 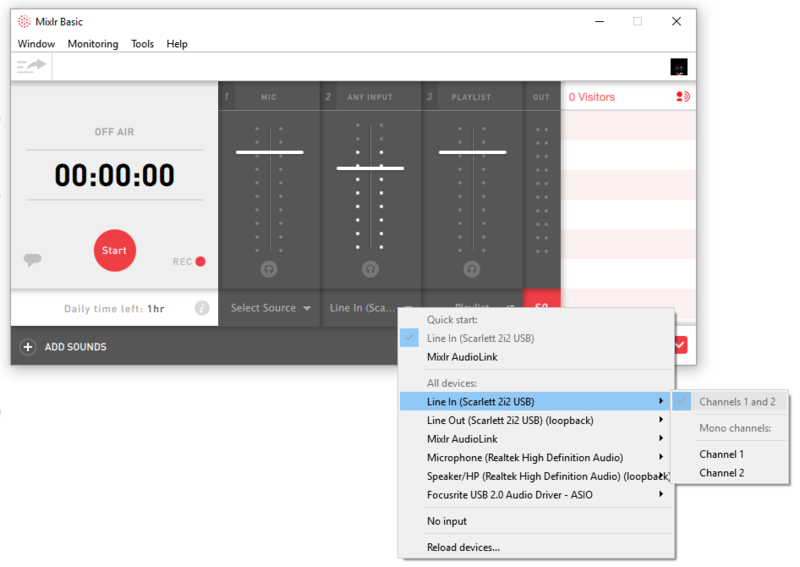 If your DJ controller has more than one stereo output (see below), following Setup 2 will allow you to control the volume of your speakers independently of the levels in Mixlr. TIP - connecting your speakers to 'Booth Out' or similar will allow you to turn up the volume in your room without affecting what your listeners hear on your live page. Connect your DJ controller to your computer using a USB cable so your controller can communicate with Serato. 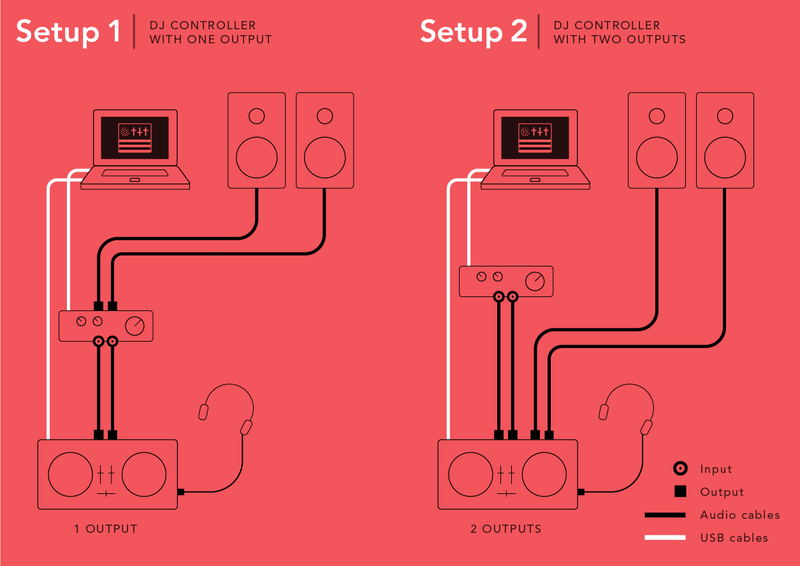 Next, connect your DJ controller to your audio interface to route the audio. You can do this with a 2 x RCA (male) to 2 x ¼ jack (see image below), like the one found here. Plug the phono end into your DJ controller’s output and the jack end into your audio interface. Finally you'll need another USB cable to connect the audio interface to your computer. Make sure there is some music playing in Serato. Next, open Mixlr and select your audio interface as the input for the Any Input channel. (In the image below it’s ‘Line In (Scarlett 2i2 USB) > Channels 1&2’). Once this is selected you should start to see an audio signal coming into the app. Set your levels and go live! Once your volume is set, press the red 'Start' button and you are live on Mixlr!